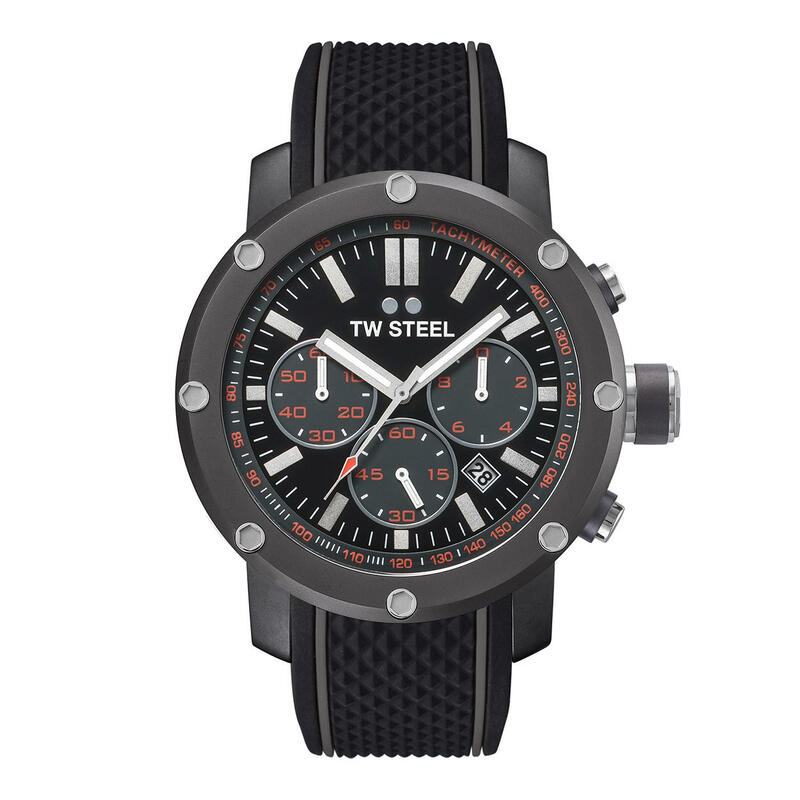 A perfect fusion of masculine and industrial-inspired styling. 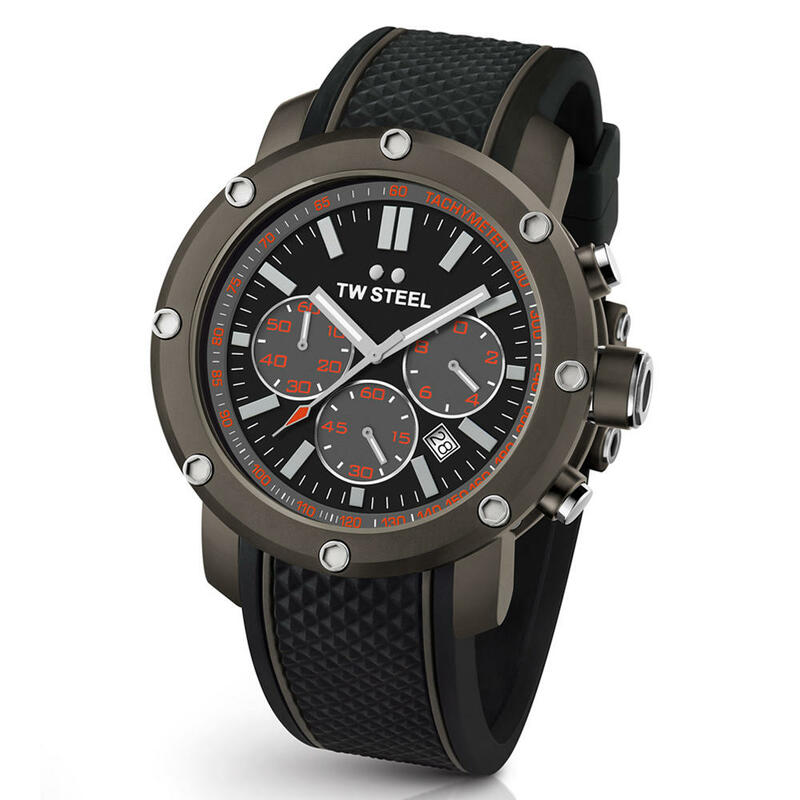 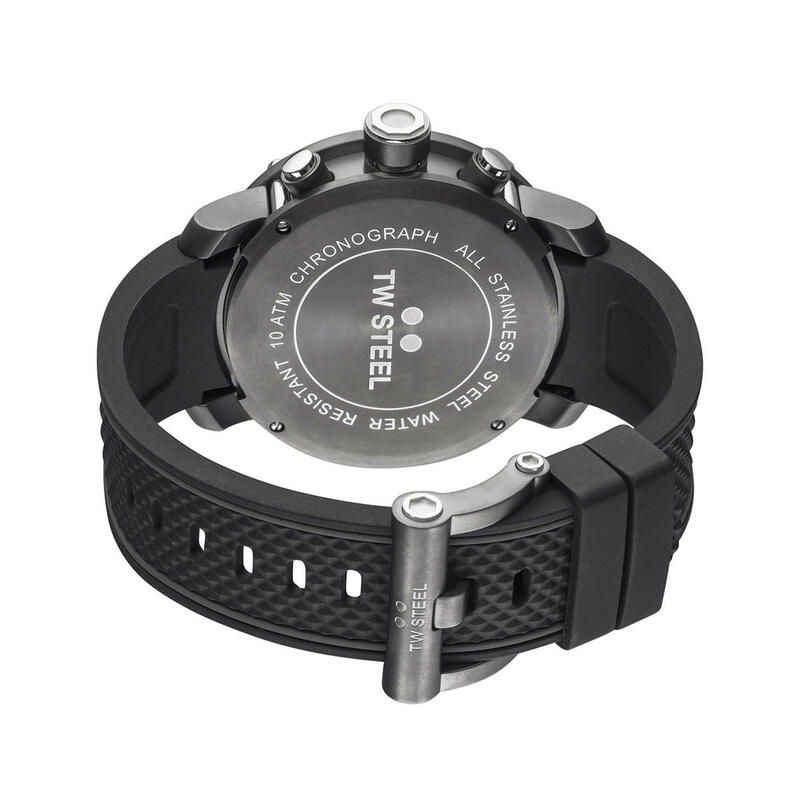 This Grandeur Tech features a PVD dark titanium coated steel case, a black dial and a black silicon strap with grey lines. 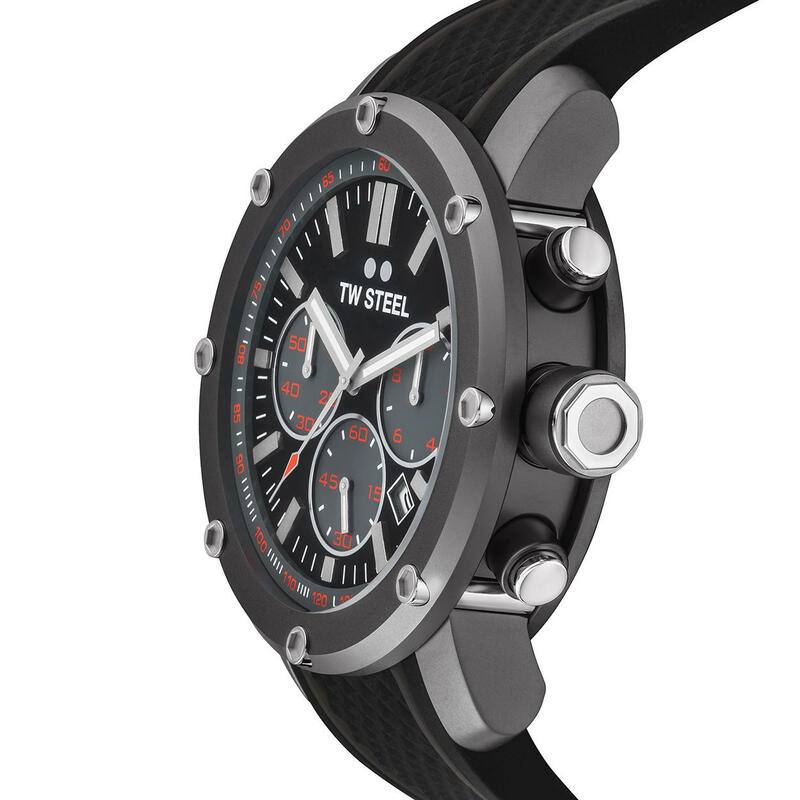 All our new watches come with a Manufacturers International Warranty, this means that the watch can be taken to any Authorised Dealer for service or repair.